You have spent years working at a salon, perfecting your skills and building a superb reputation. But now you’re ready for your next challenge. This guide tells you everything you need to know about how to open a salon. Finances are top of mind when you open a salon. Your goal is to be profitable as quickly as possible, but salon startup costs could make you anxious. Shake off those hesitations with a little bit of planning — establish your salon costs, forecast your revenue potential, and find your break-even point. While it’s easy to get wrapped up in buying equipment, furniture, and decor, you have to remember that these things come at a price (and it’s often a high one). A small reception area is also necessary for most salons. You may want a seating area for clients waiting to see your stylists, as well as a front desk. Don’t worry about staffing your front desk, though. You can set up an iPad POS stand for customers to check in and pay. You can also display promotional offers for your business at the front desk. Pro tip: Most of the salon equipment and furniture can be bought at wholesale prices with your cosmetology license. It can be a great way to save money if you are buying in bulk. Streamline your appointments and do more business. The right online appointment software can help you book more appointments, accept payments, and attract more clients. Hiring the right staff for your salon is essential; the quality of your staff’s work makes or breaks your salon. Skill set: The candidate’s skill set and capacity to learn are both important to think about when interviewing. Think about the years of experience you want your stylists to have. Do you want each stylist to have proficiency in coloring? Or are you going to hire dedicated colorists? Before you hire anyone, make sure you have an Employee Identification Number (EIN) number. When you start to hire, make sure you’re following the correct procedures when hiring employees. You need to confirm their eligibility to work in the U.S., run the correct background check, obtain the correct workers comp insurance, and set up records for withholding taxes. Provide perks like flexible hours, commuter benefits, birthday recognition, and regular happy hours to keep your employees feeling valued. Let’s start with taking payments. You want to look for a payments processor with clear pricing and no hidden fees. Your payments system should allow you to take whatever form of payment your clients want to use, including magstripe, EMV chip, and NFC (mobile payments like Apple Pay). But don’t think of your payments processor in a silo. Ideally, you want your payments processor to be integrated with a point of sale that can help you run your entire business. 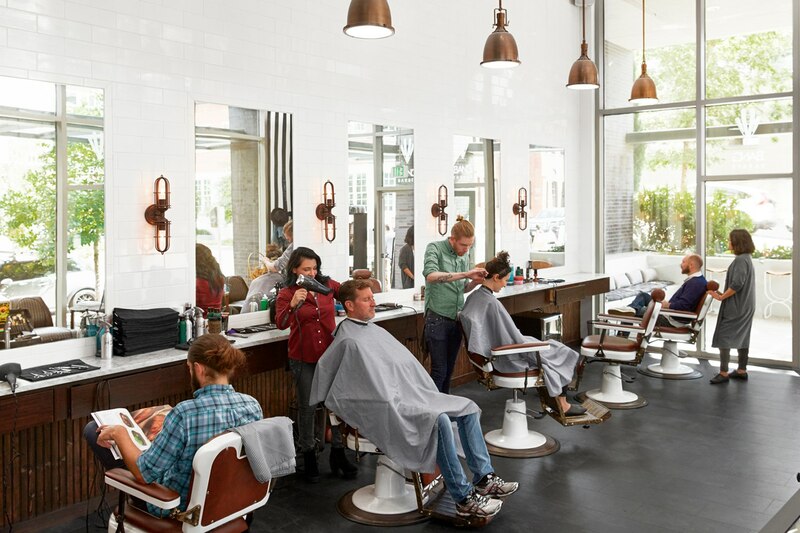 A salon point of sale can integrate your payments system with other salon operations — like appointments, marketing, and employee management — to make your day-to-day management more efficient. In fact, the right salon POS system can actually act as a receptionist, which can aid to your salon scheduling strategy. By integrating your online scheduling tool with your POS, customers can access hair stylists’ calendars and book appointments 24/7. In the appointments tool, you can create appointment notes on clients and customer information is saved in a customer directory that can be accessed in the POS system for a smoother checkout. Additionally, you can access sales reports, customize discounts, and manage inventory in real time with the salon POS system. You can even use a POS to get direct feedback from customers through a private feedback channel. Many salon owners do substantial research, create a detailed financial plan, and take all the right steps when opening their business. But staying afloat in the health and beauty industry is tough. Failure to manage appointments. 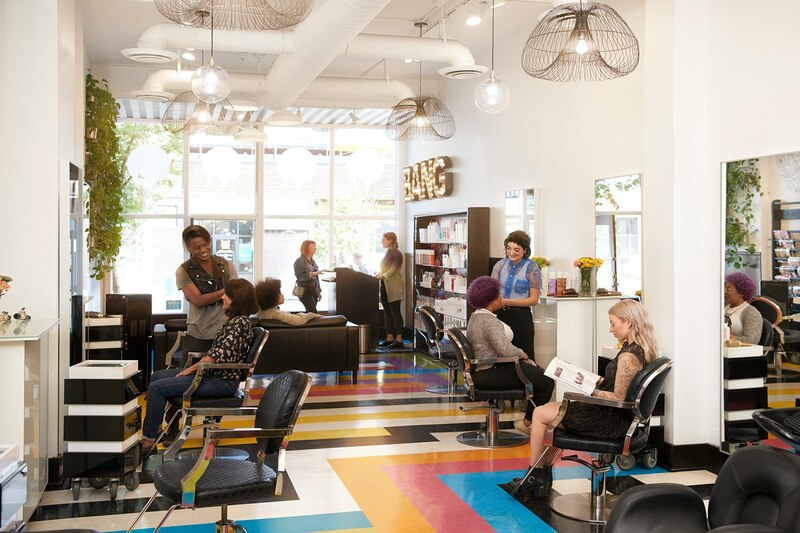 Salon owners who find it difficult managing walk-in appointments and reoccuring clients often have a hard time staying afloat. It is essential to warmly welcome walk-in customers without tarnishing relationships with existing clients and bogging down the scheduling system. Don’t let the risk of failure impede your dream of opening a salon. It is important to acknowledge and plan for risk factors. But instead of harping on the hurdles that you may come across along the way, focus on the opportunity for major success. Take some advice from Casey Nickole, owner of BANG in Seattle. She opened up her first salon with a simple dream of giving clients a place to express themselves and create a personal identity. Little did she know, her idea would become so much more. Today, BANG is a multimillion-dollar business with over forty employees across three locations. Going from $300,000 in year one to over $1 million in year two, Casey’s success is evident, but she still had to persevere through obstacles. She found that BANG was devoting too much time to manual processes, which inhibited its growth. By switching to an integrated system that managed payments, tracked inventory, ran payroll, provided CRM tools, and much more, Casey was able to have more flexibility, a better-informed staff, and improved client communication. She was able to manage appointments at different locations and track sales reports, which helped her strategize for growth and ultimately become successful.